What Do Writers and Editors Do? Writers and editors are responsible for producing the content we read in newspapers, books, magazines, and online, as well as what we hear when we watch a movie, television show, radio program, podcast, and commercial. Some people who work in this field even put together the documentation that comes with the products we buy. Writers and authors create content for print and online media, television, movies, and radio. 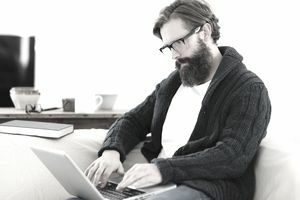 Technical writers specialize in producing materials such as instruction manuals and documentation for computers, hardware, household appliances, consumer electronics, and cars. Editors evaluate and select content for publication in print media and online. They also assign topics to writers. editors make $58,770 annually (2017). 131,200 people are employed as writers and authors, 52,400 as technical writers, and 127,400 as editors (2016). Some writers and editors work in offices while others work remotely from their homes or other locations like coffee shops and libraries. The job outlook, a prediction of employment growth by the Bureau of Labor Statistics, is expected to be excellent for technical writers, good for writers and authors, and mediocre for editors between 2016 and 2026. Editors will see little or no change. Employment of writers and authors will grow as fast as the average for all occupations. Technical writers will fare best with job growth that the BLS predicts will be faster than the average. If you want to become a writer or editor, it is essential that you can express yourself well in writing. You must be creative in order to come up with ideas for material. Self-motivation, curiosity, and excellent judgment are also necessary. Editors need the ability to guide others. Although a college degree isn't technically required, many employers prefer to hire writers and editors who have one. Many prefer job candidates who have majored in communications, English, or journalism. Sometimes a liberal arts degree will suffice. Writers and editors who specialize in a particular subject may need a degree in that area of study. This is particularly true for technical writers. Unpaid experience, such as that gained through internships and writing for school newspapers, is invaluable. Entry-level writers and editors usually start off doing research, fact-checking, and copy editing. Those who work for smaller employers may have the opportunity to begin writing and editing earlier in their careers. Is This Career a Good Fit? Take a Quiz: Should You Be a Writer or Would You Make a Good Editor? Sources: Bureau of Labor Statistics, U.S. Department of Labor, Occupational Outlook Handbook; Employment and Training Administration, U.S. Department of Labor, O*NET Online (visited August 8, 2018).